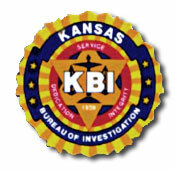 The DEA/KBI Basic Drug Investigators Course is designed for officers and detectives recently assigned to a drug unit, who have little or no experience in narcotics enforcement; or those who aspire to conduct more effective and comprehensive drug investigations. This class will focus on recent court opinions issued by the Kansas Appellate Courts, the 10th Circuit Court and the United States Supreme Court. Students will learn current state of law in relation to their patrol and criminal investigation job duties.